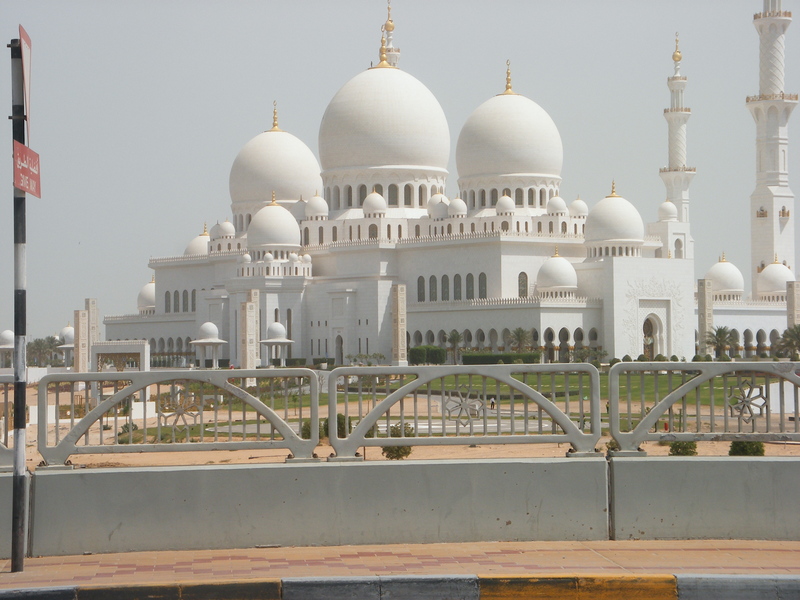 Sheikh Zayed Mosque, Abu Dhabi. ‘Cos if you are going to feature a mosque photo it may as well be of a massively impressive one. Ramadan is the ninth month of the Islamic calendar, supposedly the month when the Koran was received, and henceforth celebrated as a month of contemplation and personal revelation. Muslims are meant to fast between the hours of sunrise and sunset everyday for one moon (i.e. lunar month) – they abstain from eating, drinking, smoking, and, er, intimate relations. Rather confusingly, Shi-ite and Sunnis observe slightly different Ramadan calendars (it all comes down to who sees the new moon first) to the point that the former are often one or two days behind the latter, and break fast a few minutes later. Those fasting often rise to eat before dawn (a meal known as sahari), and then eat ‘iftar’, breakfast (traditionally dates, halva and tea), at dusk. During the evening they may prepare lavish meals, or graze on and off as the mood takes them. There is great emphasis during this month on sharing food, both in the way of eating with your friends and giving to the less fortunate – it is very common in Iran for the faithful to congregate in mosques or ‘masjid’s (prayer houses) to eat communally. It is regarded as a good act not only to fast, but to help those who are fasting, and to provide ‘iftar’ for those in need. To us over-consumers in the west, the whole thing sounds like torture, notwithstanding the fact that the Christian faith also has its time of denial in Lent – how many people you know actually give anything up for Lent? In fact most Muslims look forward to Ramadan. A true believer steps back from the rat race, makes use of the time to meditate on his place in the world, and to ponder where he might make improvements. It is a time for extra prayer and charity; it is in fact like one big, faith-wide group hug. The abstinence itself can be very hard, especially as Ramadan is a movable fast – it moves forward through the calendar 10 days each year – and so during the summer months when the days are longer, the fast can be for up to 18 hours a day. But it does reward those who last the month with a real sense of achievement. The end of Ramadan is marked with an almost euphoric festival, eid al fitr, and those who have fasted can celebrate, exchange gifts, feast and visit friends. Of course fasting isn’t a bad thing for the health either. Young children, those who are infirm, pregnant, breast-feeding or travelling are not permitted to fast, and even older children are only allowed to fast until midday. For those in full health, the month can act as a de-tox period, when the price of 11 months of over-indulgence can be reclaimed. In Iran, as you might imagine, the public observance of Ramadan is compulsory. The country runs on standby for a month, with businesses operating during limited hours. Restaurants are closed during the day, and open consumption of anything is banned, even for tourists: in fact, any form of flouting the Islamic law meets with particularly severe punishment during this period. That is not to say everyone fasts – what is done in the privacy of the home is entirely up to the individual – but fasting and abstinence has been part of Persian medicine and culture since early Zoroastrian times, and comes quite naturally even to the non-devout. Most Iranians at least pay lip-service to the ritual by fasting for a day here or there. Eid al fitr is big in Iran….but whereas in Arabic countries it is perhaps the most important day of the year, for Iranians nothing can supplant Nowrooz. For Iranians living abroad, there is a certain sentimentality about Ramadan (that is for those for whom Islam is not a compete anathema); even those ladies about town with their killer heels and that jack-the-lad DJ Massoud are to be found discreetly breaking fast at the Iranian masjid. One evening listening to the chin-wagging in the hopelessly crowded women’s section of any London mosque during Ramadan will teach you everything you need to know about contemporary Persian society – all life is there. It pulls the community together – and knowing how aloof Iranians can be from each other, this is rather a nice feature. If you have colleagues or friends who are fasting, there are several things you can do to help. The first is a no-brainer: if you are eating or drinking, p’raps try not to do it in their face. If they ask you to cover for them during that month, think before you say no. And if they ask you to join them for food when they break fast, you should absolutely go – some of the best food of the Middle Eastern world was created specifically for Ramadan. In fact a lot of our recipes in Snackistan are versions of Ramadan recipes.